I finally found some old photos of Mom, taken about 1936-1938 or so. She’d be 12 or 14 or so. At first she couldn’t identify the location. 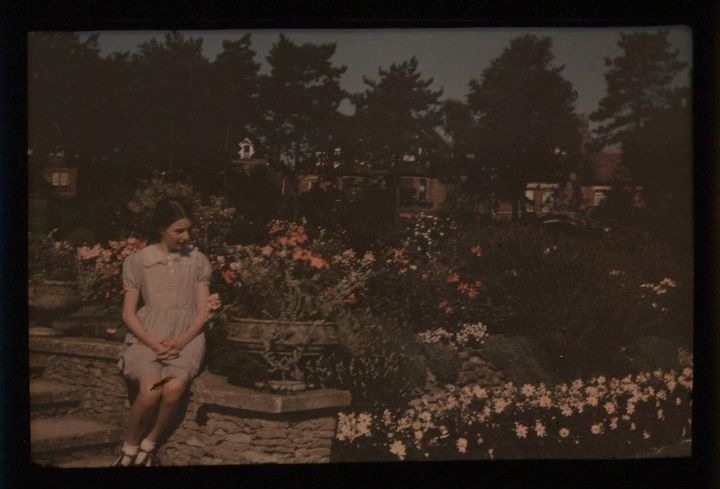 However, after I showed her the photo on my iPhone and could enlarge them for her, she readily identified the location as “a botanical garden in Lincolnshire”. 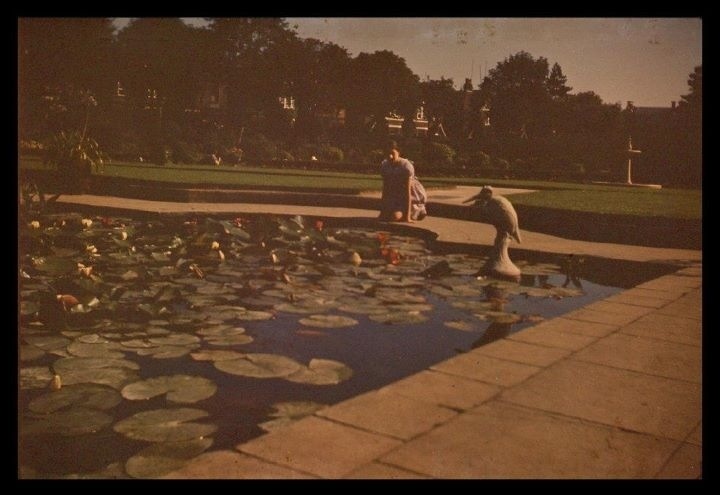 In looking for a likely place, I found that Lincoln has an arboretum and photos seem to indicate that the pond she is kneeling at, minus the flowers, are a match with the one at the arboretum. Gone are the gardens, sadly. 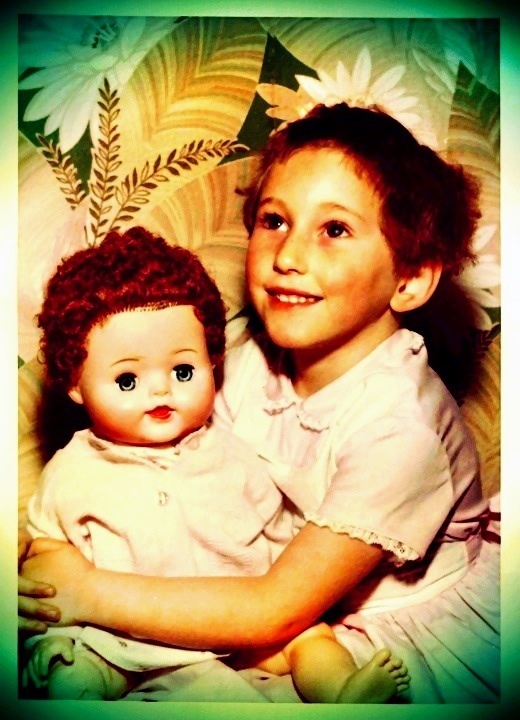 This week’s Photo Hunt challenge was “Two”… Just us two, me and my dolly, Susan. I was about 4, I think.